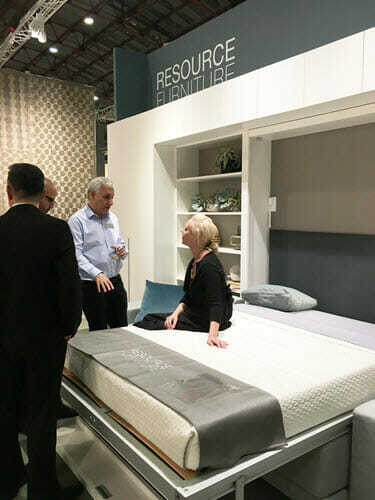 This year our booth featured the Oslo queen wall bed system by Italian manufacturer Clei, industry leader in high-end transforming furniture for over 50 years. 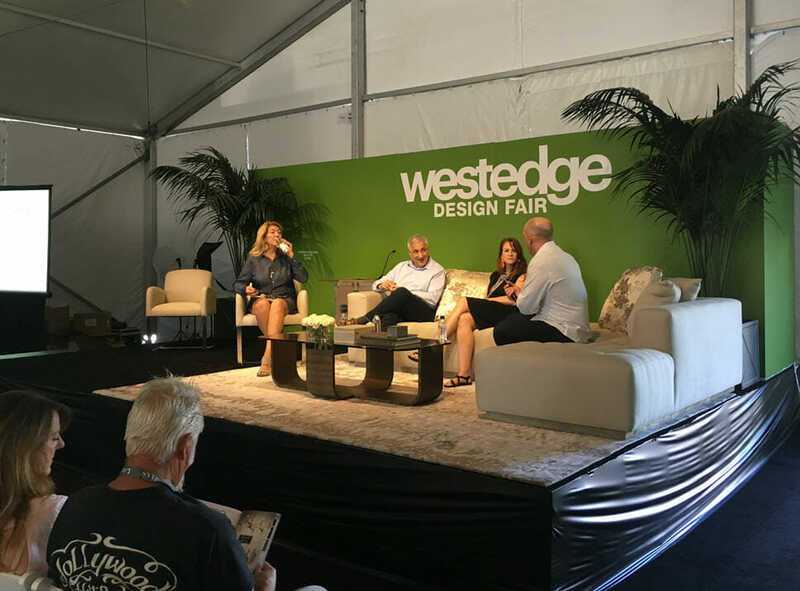 Founder Ron Barth flew to California last week, teaming up with our L.A. Showroom Manager, Tyler Davis, to represent Resource Furniture at the sixth annual WestEdge Design Fair in Santa Monica. The fair brought together over 175 brands and more than 12,000 design professionals to source and showcase products across a range of categories. 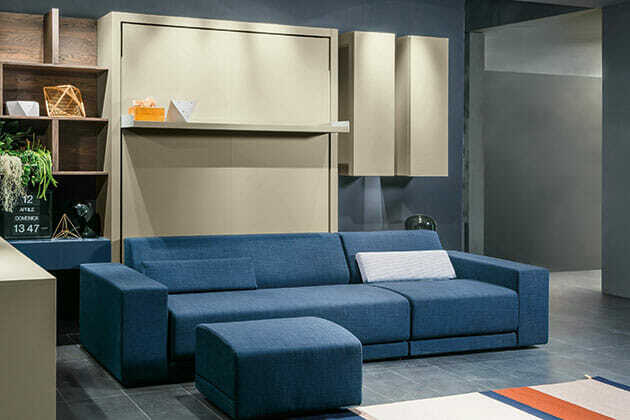 This year, our booth featured the Oslo queen wall bed system by Italian manufacturer Clei, industry leader in high-end transforming furniture for over 50 years. The Oslo is comprised of a 3-4 seat sectional sofa with both hidden and display storage. 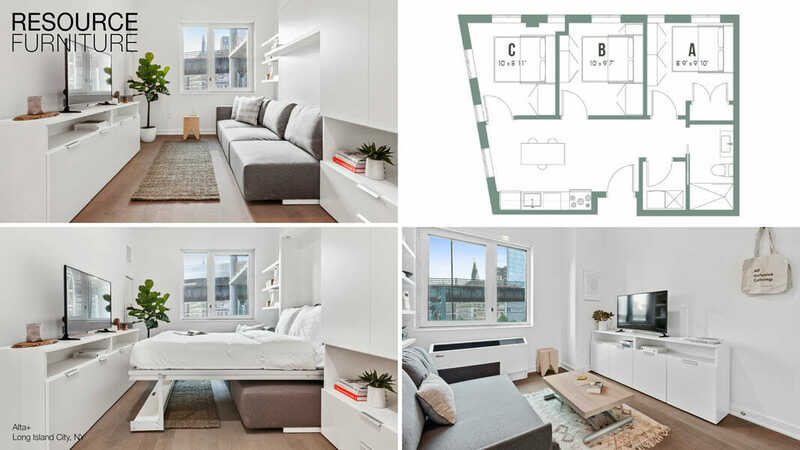 Integrated, fixed-back cushions stay in place when opening the bed, and the compact storage unit — only 13 ¾ inches deep — allows for infinite applications in spaces of virtually any size. We also introduced crowds to the Goliath expanding console-to-dining table and the Passo coffee-to-dining table, two of our perennially best-sellers. 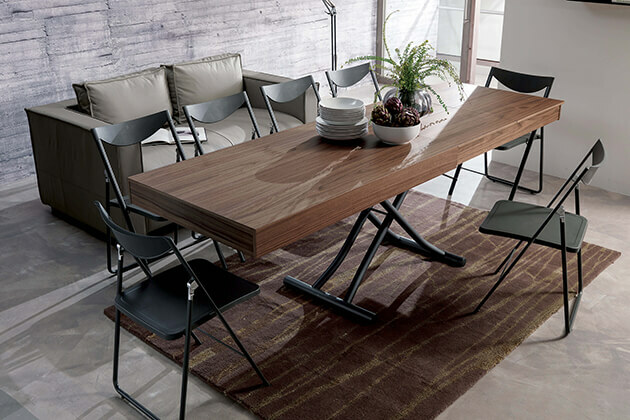 The Goliath is a revolutionary departure from conventional expanding tables; with its five leaves, the table transforms from a slim console into a nearly 10 foot-long dining table suitable for a party of 12! The Passo adjusts to various heights using a unique telescoping mechanism and when extended with a self-storing leaf can also seat up to 10 people comfortably. The booth itself was decorated with the ultra-high-resolution Botanicals wallpaper collection by Norwegian photographer Tom Haga, creator of ConcreteWall. The visually striking floral wallcovering is based on 700 Megapixel photographs, with each print custom manipulated to fit the exact specifications of the wall. On Saturday, Ron joined design professionals Joel Turkel, Jaime Derringer and Michela O’Connor Abrams for a lively panel discussion, Transformative Design: It’s Always Personal. 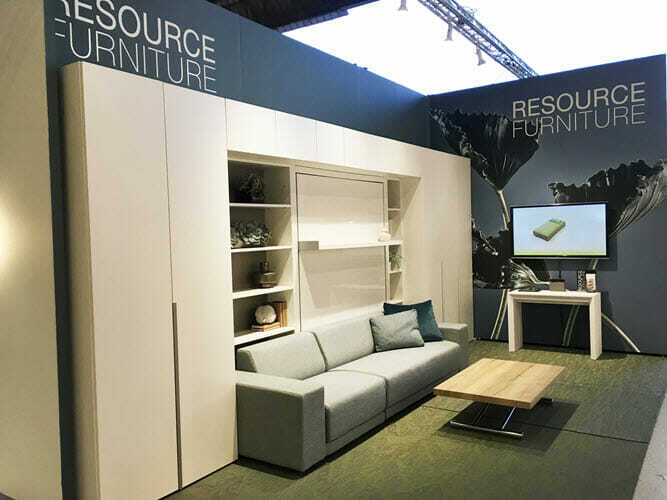 Ron spoke to, and gave examples of, one of Resource Furniture’s guiding principles: that small spaces feel much larger when attention is paid to the types of furnishings used within. He talked about Resource Furniture’s involvement with the National Building Museum’s Making Room exhibit and gave some background on the project’s roots in New York City. 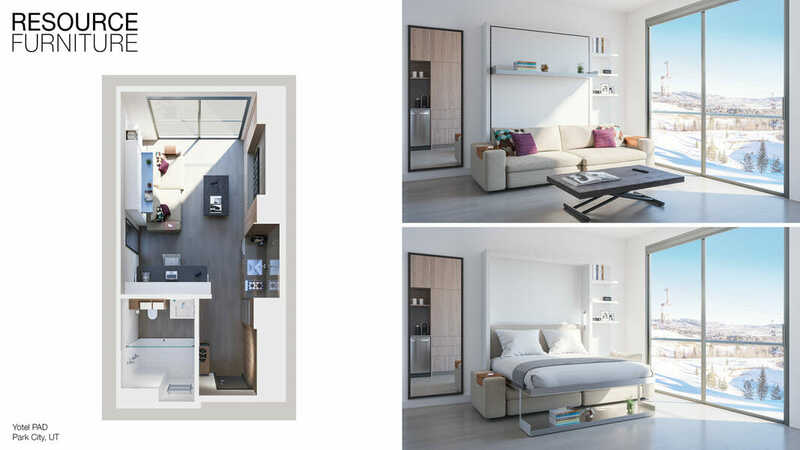 For more, download Ron’s slides featuring photos and layouts of other micro-units tricked out with Resource Furniture (PDF).